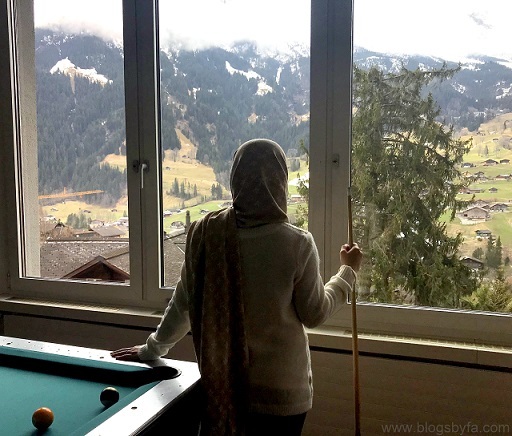 Grindelwald - a charming, postcard-perfect ski town in Switzerland located in the Bernese Alps - was no less than a dream mountain escape for me. The idyllic Alpine pastures of Grindelwald has plenty of cable cars making it easier for tourists to get up close to the scenic mountain, glacier and the lakes. Snow capped Grindelwald has been and continues to be a popular filming location, appearing in blockbusters like the Star Wars and James Bond movies. World Snow Festival (January) - This takes place between the 21st & 26th of January to celebrate the ice-cold art in Grindelwald. Many international artists participate in this festival and design figures and sculptures out of metre-high blocks of snow. 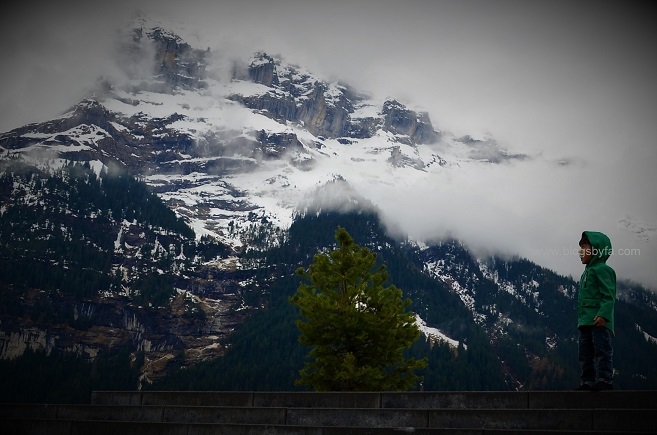 SnowpenAir (April) - This open-air concert takes place generally in the first week of April, in front of the Eiger, Mönch and Jungfrau at 2067 meters above sea level and includes international music acts. It is going to happen for the 22nd time in 2019 at the Kleine Scheidegg on the 6th of April. Land Art Festival (June) - Thirteen international teams from 12 different countries will gather to create sculpture using natural materials available locally and produce art work in the landscape that can be witnessed by the visitors from the 11th of June till the 16th of June. You can see the full program of the Land Art Festival on Landart Grindelwald's website. Mountain Spring Festival (June) - The festival starts on the 24th of June at visitors can experience Swiss tradition and folklore on Männlichen. Entertainment from five different groups will also be provided. National Costume Festival, Mannlichen (July) - To witness an authentic and traditional sight, admire the national dress from the different cantons, their folk music, folklore performances including odelling duets, alphorn trio and flag throwing on the 29th of July, make sure to join this festival. Apline Cheese Festival (September) - A great opportunity if you want to purchase Alpine cheese, butter and bread directly from the granary and enjoy the day with local food and drinks as well as music and entertainment. This festival has been scheduled on the 15th of September at Grosse Scheidegg in Grindelwald. 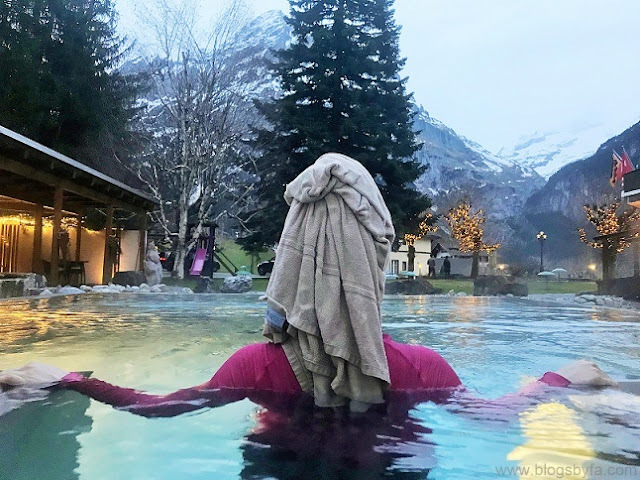 Summer Activities in Grindelwald - Grindelwald also offers summer activities to visitors that can include hiking and climbing in Jungfrau region, biking and playing golf in Grindelwald, Tandem paragliding and spending an afternoon in an indoor rope park. 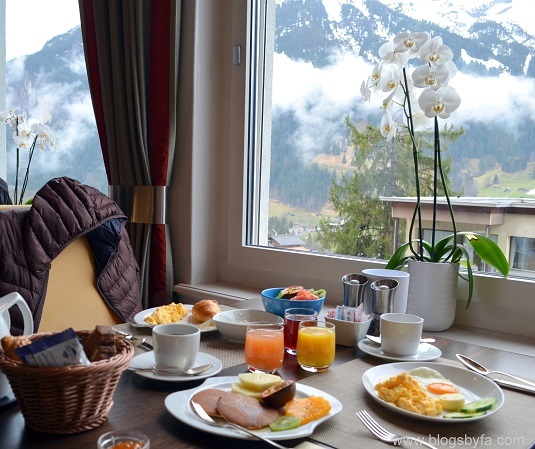 If you're planning a holiday to Switzerland, its highly recommended to allocate at least one day for Grindelwald. 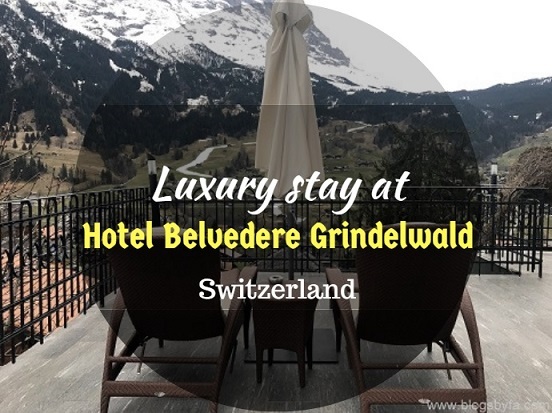 Our stay at the family owned Hotel Belvedere located in Grindelwald was part of our week long family trip to Switzerland. 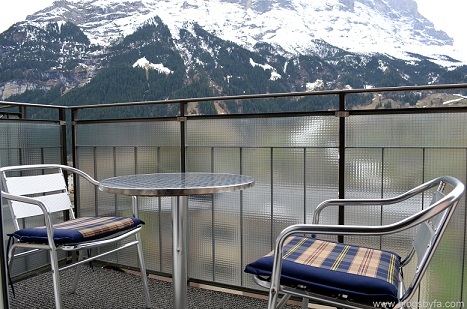 All the rooms at the hotel come with a balcony and fantastic view of the two mountains - Eiger or Wetterhorn. 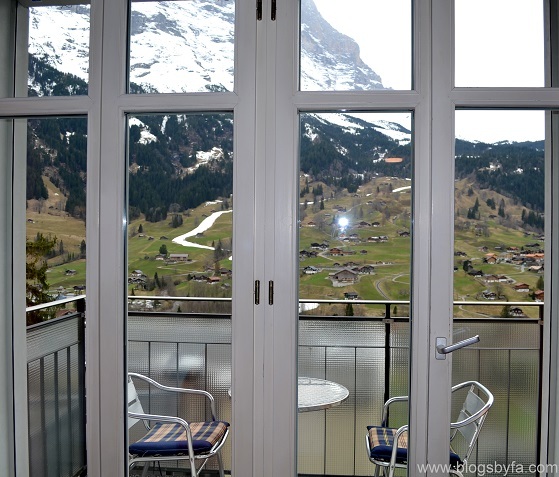 Guests staying at the South side can enjoy spectacular views over Grindelwald valley while those staying at the North side can witness the Wetterhorn. 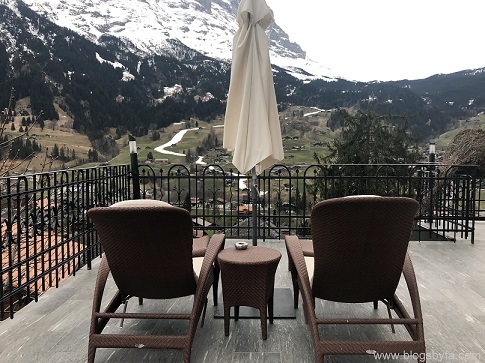 After a warm welcome and a smooth check-in at Hotel Belvedere Grindelwald, we explored the area a bit and enjoyed our welcome drinks at the hotel's terrace with the mesmerizing views of the snow capped Eiger mountain. The room balcony also had a set of table and chairs, further allowing us to just inhale the magic of the place! I was very keen to witness the sunrise, for which I eagerly prepared and got up on time, but perhaps we were facing the wrong direction or it was difficult to spot it amidst the clouds that morning. Nevertheless the sheer natural beauty in the early morning rays was satisfying more than anything. Our family stay was in a Classic Twin room, that had all the amenities we could ask for the night. Immediately after checking-in, we connected to the free WiFi facility and since we could use it for up to 4 devices, BabyN was quick to start streaming his favorite shows on his iPad. After an outstretched drive from Lausanne, I too was looking forward to unwind so quickly unpacked and got changed. The box spring beds, with 100% natural content, was already perfect for a good night's sleep so we didn't feel the need to opt for a harder or soft mattress. Same for our pillows, though guests can always choose from a variety of 10 pillow types available at the hotel. Our room had tea & coffee facility and a mini bar with a price list that included both alcoholic and non-alcoholic drinks. 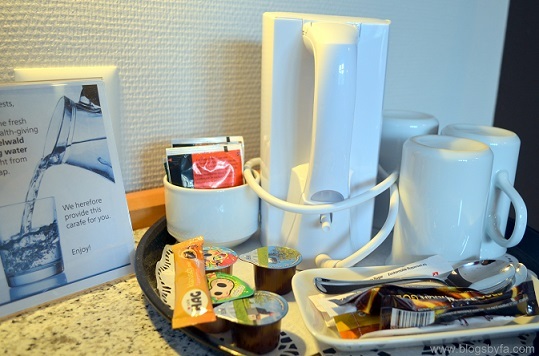 I am not too keen on drinking tea or coffee, and we were soon to expect our welcome drinks, so I didn't use the mini-bar facility in our room. A Nespresso machine is als0 available for CHF 15 per day. Although we try to keep minimal luggage but with BabyN its always to the contrary so our room with its ample storage space was a relief to manage all the stuff we were carrying. 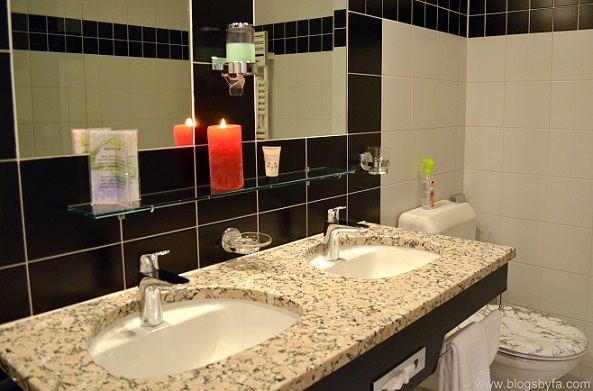 The en suite in our room came with all necessary toiletries - which is always handy as it helps cut down the size and quantity of the essentials that needs to be on a trip. The hand & body wash and the shampoo had a great texture while the sweet smelling lotion was great for softening hands especially in the dry season. The washroom also had a sandalwood freshener that helped creating an aromatic ambiance together with a a red block candle flickering by my side. 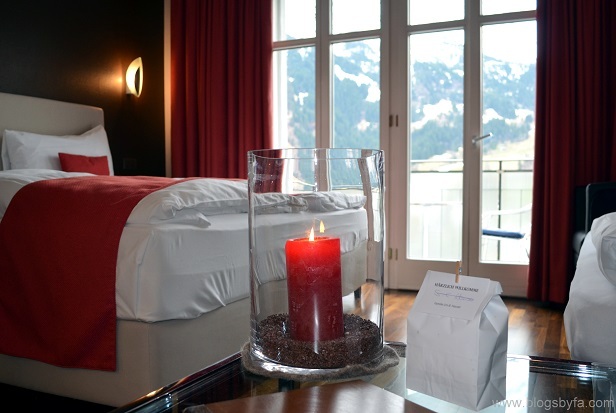 In the current electronic age, Hotel Belvedere Gridelwald fully caters to the needs of the modern traveler. Adapter plugs can be borrowed for all those international visitors. Though reception would always have been a friendly guide, but the suite pad in our room had plenty of details on the hotel facilities let alone options for playing games or using the social media. Our room had a TV but we didn't really get a chance to turn it on because there were lots of other activities to do, which we thoroughly enjoyed. 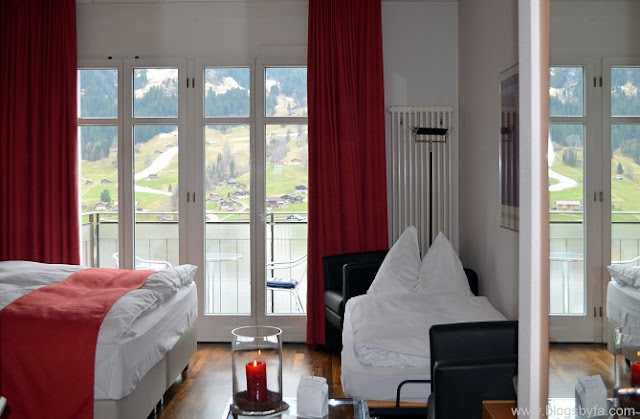 Hotel Belvedere Grindelwald is a perfect getaway for everyone - professionals, couples or a family. Those with children can enjoy some useful facilities such as changing mat, potty, toilet, stool, baby bath with thermometer, plug protectors, child’s bed or cot and night light - all these free of charge. 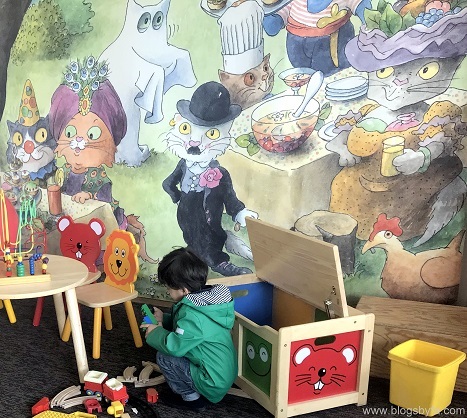 A toy box can also be rented for CHF 5 per day, while teeth brushing sets with sand timer and bibs can be purchased from the reception. At no extra charges, baby monitoring devices can be borrowed by paying a refundable deposit of CHF 50. Reception can further help with warming baby food, arranging a babysitter, as well as rental backpacks for those hikes that guests fancy. Soon after a breather, we all got changed into our swimming suits and put on our hotel bathrobes to head to the spa. The boys were quick to take a dip, whereas I decided to put my feet up for a while and watch BabyN' paddle around with the floats in the pool. The access to the wellness center was right opposite our room on the 1st floor. It offered relaxation for all of us and comes a with a range of facilities. A swimming pool (29 degree), Jacuzzi (36), salt warm Jacuzzi in garden (36) and showers with an option of ice mist or a tropical shower. We enjoyed all of these but the highlight was the outdoor Jacuzzi with its amazing backdrop, and a totally satisfying hydrotherapy. 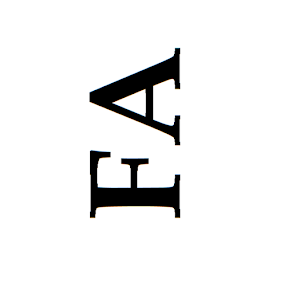 The best part, these can be accessed till late, up until 10 pm. 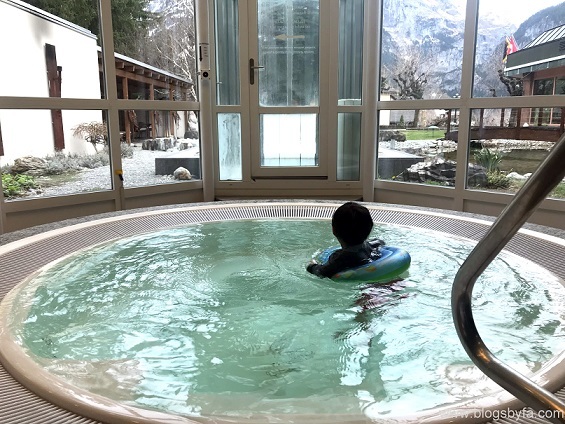 In addition, Hotel Belvedere Gridelwald offers a sauna (opens 3:00 pm-7:30 pm in winter), glacier steam bath and the heat mine gallery. 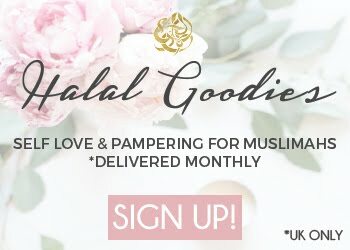 The spa offers massages and beauty treatments too. Games room (7:00 am - 10:30 pm) at the hotel has table tennis, foosball, billiards, Nintendo Wii, carrom board and a play corner for toddlers. We visited the spacious room after the breakfast the next morning and the best part was that everything for all ages was under one roof, so we didn't have to allocate separate timing for it as all 3 of us could enjoy an activity of our choice. 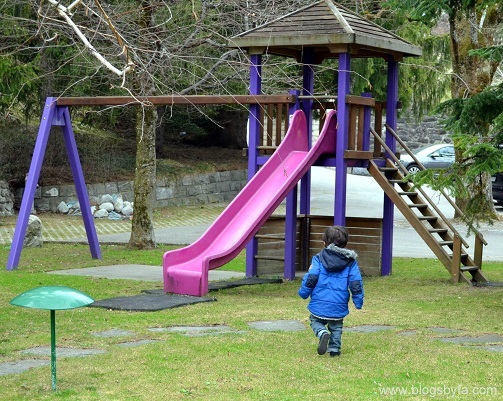 The hotel also had an outdoor play area for kids, which is perfect especially for good weather days! After a good night's sleep, the next morning we headed to the restaurant downstairs for breakfast which is served between 7:30 am - 10:00 am. This was served with a nice variety including hot and cold items. I could also spot some dishes not part of the usual English Breakfast, which caters well to the multinational guests staying at the hotel. The hotel has a bar that opens at 3:00 pm where guests can enjoy a live piano. Dinner is served at the restaurant between 7:00 pm - 9:00 pm. that includes a variety of gourmet menus, fresh home grown ingredients including Swiss specialties and fusion food with Mediterranean influence. 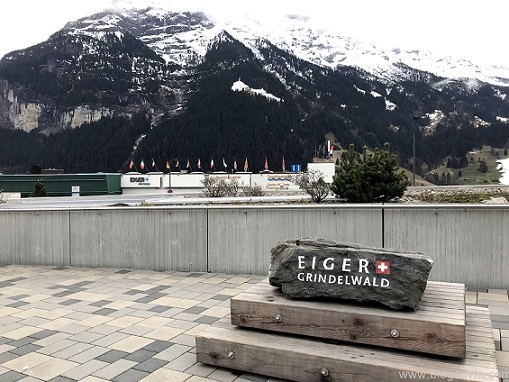 For the convenience of the guests, Hotel Belvedere Gridelwald also offers a shuttle service from Grindelwald station available between 7:00 am - 8:00 pm, for arrival and departure. Those with cars can find ample outdoor parking. An indoor parking in a neighboring building is also available but costs CHF 15 per night. Also available are charge points for electric cars provided at no additional costs. Hotel Belvedere Grindelwald is also a pet friendly hotel and guests can bring their four legged member of the family along just by paying CHF 20 extra per day. 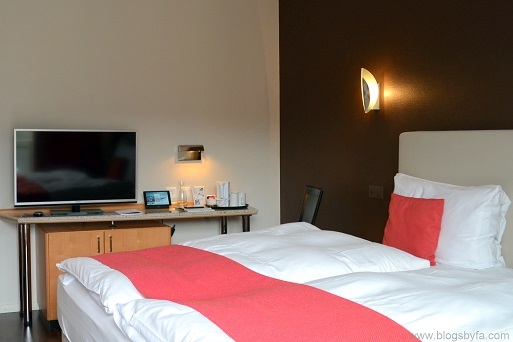 We checked-out of the hotel the next day at 11:00 am which is the regular time but if required a late check out till 5 pm can be availed at 20 CHF per hour. 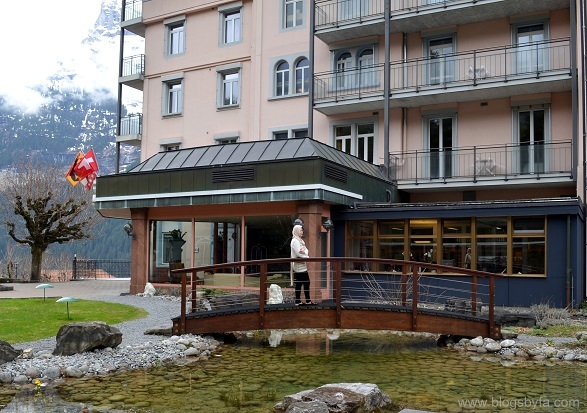 Day or night, summer or winter; Hotel Belvedere Grindelwald offers a variety of activities to keep its multi-aged guests entertained throughout their stay. Most facilities at their impressive spa run into the night allowing ample time for guests to simmer down while admiring the tranquility of the incredible space. Although this might be a 4 star hotel, but the service and hospitality that we received definitely makes it a 5 star in my eyes. 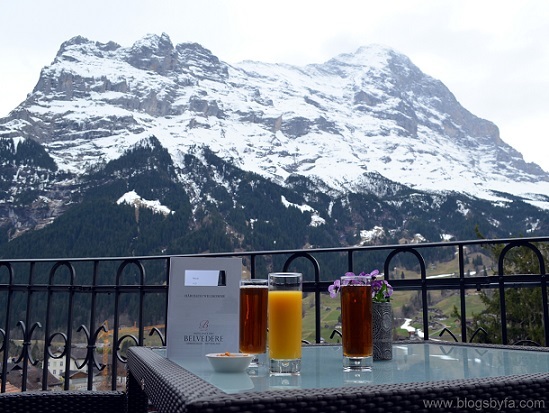 Without any indubitably, Hotel Belvedere is highly recommended to anyone planning a visit to Grindelwald, Switzerland. Wow, Grindelwald looks like a fantasy world! I have been to Switzerland before, but this place looks like it is worth a re-visit! It’s amazing how many activities they have available throughout the year, the cheese festival sounds fun. The spa facilities in the hotel sounds brilliant and the service sounds very impressive. This looks like such a wonderful family-friendly hotel! It looks beautiful - all that cold fresh air. I'd love to take the kids - the hotel looks really comfy.